As I'm sure you will agree, there really isn't much that is more quintessentially British then taking a visit to a country house. If you manage to go on a slightly rainy day and then go on to have a cup of tea later whilst complaining about said weather, then you may as well just be crowned King or Queen of British-ness! It looks spectacular and you're not even there yet! The country house in question is Hatfield House. 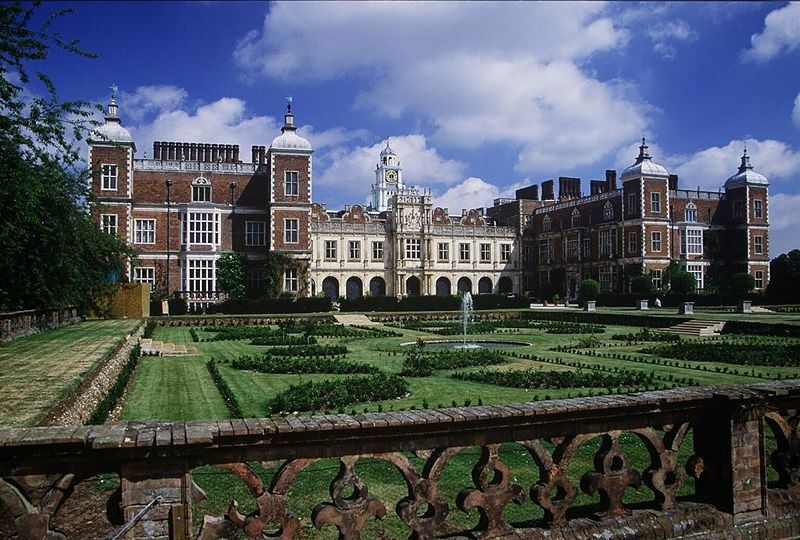 Hatfield House is located rather conveniently in Hatfield, Hertfordshire making it the perfect day trip from London. The house is steeped in history, and being there since 1611 has helped a lot with this. The current visitors season is running until September the 30th so you have enough time to plan your visit. Whilst there you can take a stroll around the house at your own pace, taking in each room without the rush that comes with a guided tour. There are still guides on hand in each room, but they are there to answer your questions as opposed to rushing you through the house. The chance to see 400 years of history all in one place doesn't come along to often, so it's well worth a trip. Another attraction at the house is the garden. The garden is full of traditional plants and those that were brought to England in the 17th century that had never been on these shores before. Assuming you can get down to Hatfield House on a day when the sun decides to come out, then it's worth venturing out into the gardens. You also have the Hatfield Park Farm on site, which is full of farm yard animals and even a free tractor ride, so if you wanted to bring the kids along with you, they wouldn't get bored looking forward to seeing the animals and having a ride on a tractor. So, if you want go to one of the ten most stunning historic houses in England and still have activities for the kids to do whilst you take in the historic sights, then Hatfield House is the place for you. The various prices and opening times can be found here.